The Pioneer Valley of Western Massachusetts has been the heart of New England agriculture since colonial times. On Mount Major's Bike Farm Table Weekends we'll meet the people who continue to farm this fertile valley. The crops that we pick at these farms will be the backbone of our harvest feast on Saturday evening. In 2010, a group of citizens in Northampton, Massachusetts banded together to successfully save a tract of fertile and historic land for sustainable community farming. 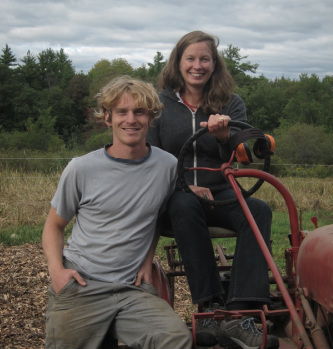 Jen Smith and Nate Frigard were selected as the anchor Community Supported Agriculture (CSA) farmers for this new farm, located in the heart of one of New England's most vibrant small cities. Crimson & Clover Farm grows vegetables, fruits and flowers using sustainable methods that build the long-term health of the soil and the community. Mockingbird Farm is a small, family farm in Easthampton, Massachusetts striving to grow the most nutritious and delicious food possible. Established in 2008, they raise chickens for both meat and eggs, heritage breed pigs, free range turkeys, and run a small beef herd. All of their animals get organic feed and constant access to fresh water, fresh air, forage, bugs, and sunshine. Old Friends Farm is a 21-acre farm in Amherst, Massachusetts, owned and operated by Missy Bahret and Casey Steinberg. Missy and Casey have been friends since attending the University of Vermont. 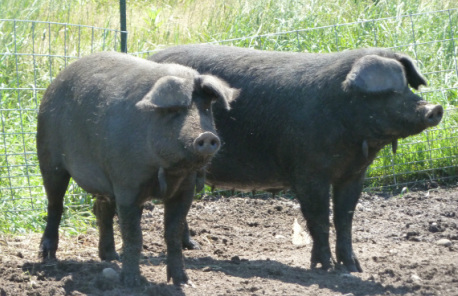 After working on many inspiring farms in the Northeast, they started Old Friends Farm. Now in its 9th year, Old Friends Farm is passionate about supplying the community with healthy, vibrant vegetables and flowers. They believe in sustainable agriculture and use only organic growing practices and post-harvest care.